Some more dirt on the Rafale deal and its connection with Anil Ambani. By the time Prime Minister Narendra Modi announced India's deal to buy 36 Rafale combat aircraft, the total amount owed by Reliance to the French state in taxes was at least 151 million euros, according to a report in the respected French national newspaper, Le Monde. However, just six months after PM Modi's Rafale announcement, the French tax authorities reportedly waived off Anil Ambani's 143.7 million euros tax. French authorities waived off taxes worth 143.7 million euros or 162.6 million dollars in favour of businessman Anil Ambani's France-based telecom company called "Reliance Atlantic Flag France". Anil Ambani's tax, the result of disputed tax litigation, was cleared a few months after Modi announced the Rafale deal with France. The Reliance Communication has, however, said the tax demands of the French tax authorities were "unsustainable and illegal". It also said that a settlement with the French authorities was reached as per the country's laws. The tax dispute was settled by October 2015 when India and France-based Dassault Aviation were negotiating the Rafale deal. A few months earlier, PM Modi, during an official visit to France in April 2015, had announced that India would acquire 36 fully built Rafale fighter jets from the French company Dassault. 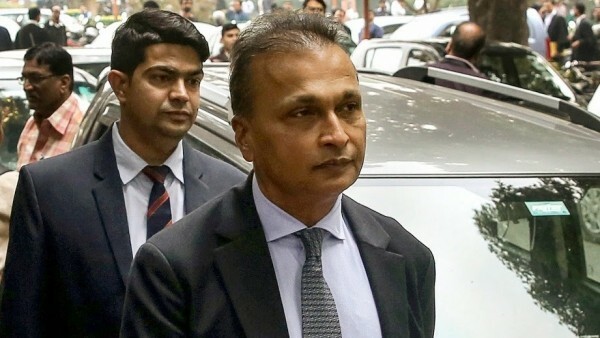 Anil Ambani’s company was reportedly investigated by the French tax authorities and found liable to pay 60 million euros in taxes for the period 2007 to 2010. Reliance Atlantic Flag France had offered to pay 7.6 million euros as taxes but the French authorities refused and conducted another investigation, the report said. Another investigation for the period 2010 to 2012 was conducted by the French authorities and Anil Ambani’s company was asked for an additional 91 million euros in taxes. In April 2015, PM Narendra Modi announced the Rafale deal with France-based Dassault. By the time the prime minister announced India’s deal to buy 36 Rafale combat aircraft, the total amount owed by Reliance to the French state in taxes was at least 151 million euros, the report said. However, just six months after PM Modi’s Rafale announcement, the French tax authorities reportedly settled Anil Ambani’s 143.7 million euros tax dispute litigation and accepted 7.3 million euros from Reliance as a settlement, instead of the original tax of 151 million euros. Reliance Communications has issued a clarification on the French media report. In a statement, Reliance Communications said that the Reliance Atlantic Flag France’s tax dispute pertains to 2008. Terming the tax demands as “completely unsustainable and illegal”, Reliance Flag denied “any favouritism or gain from the settlement”. It also said that the tax disputes were settled “as per legal framework in France available to all companies operating in France”. It said, “During the period under consideration by the French tax authorities – 2008 to 2012 i.e. nearly 10 years ago, Reliance Atlantic Flag France had an operating loss of Rs 20 crore [i.e. 2.7 million euros]. The French tax authorities had raised a tax demand of over Rs 1,100 crore for the same period. As per the French tax settlement process and law, a mutual settlement agreement was signed to pay Rs 56 crore as a final settlement,” it said. In a statement, the Reliance Communications clarified that the tax issue of its subsidiary Reliance FLAG Atlantic France SAS pertained to the year 2008 and had been settled as per the local laws, much before the Indian government decided to purchase Rafale jets from French company Dassault. Reacting to the report, the Defence Ministry said any connections drawn between the tax issue and the Rafale matter are totally inaccurate, tendentious and is a mischievous attempt to disinform. “We have seen reports drawing a conjectural connection between tax exemption to a private company and procurement of Rafale fighter jets by the government of India. Neither the period of the tax concession nor the subject matter of the concession relates even remotely to the Rafale procurement concluded during the tenure of the present government,” the Defence Ministry said in a statement.